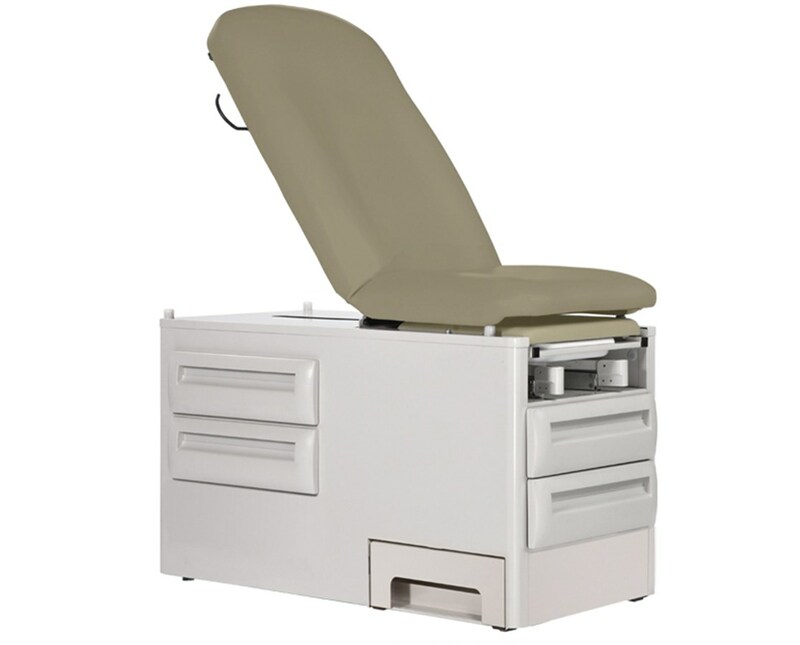 The UMF Medical 5240-145 Signature Series - ProSideStep Exam Table features unparalleled strength, quality and design. Adapting to your every need the manual exam table dismisses the necessity of choosing a right or left handed table. An added benefit to this convenience is the ability to configure the room layout to your liking. The 5240-145 enhances patient comfort with the UMF Medical Ultra Comfort Seamless top. A comfortable experience every time the comfort top is vacuum formed and is easy to clean which prevents cross contamination between patients. The 5240-145 includes a slide-out leg section with removable drip pan, and a removable upholstered leg section pad as standard equipment. 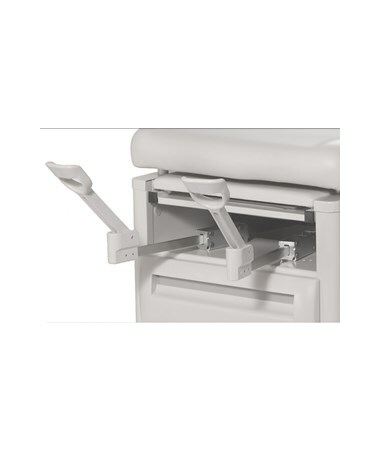 The easy glide comfort stirrups, all steel reversible side slide out step, and a fully articulating back section with gas spring assist make this UMF exam table the perfect choice for your healthcare facility. The UMF Manual Examination Tables are available in 8 colors. The standard color displayed in the image above is Onyx. You may view the available colors in the color chart and select your preference. Please note your choice of color in the special instructions field during checkout. 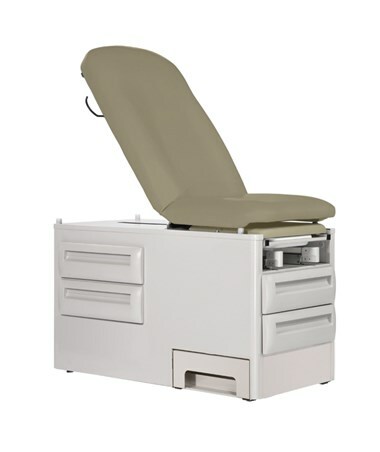 The UMF Medical 5240-145 Signature Series exam table has a 500 lb. (226.8kg) patient weight capacity and comes with a 5 year manufacturer’s limited warranty. Pull-out all steel non slip side step (7” / 17.8cm high). Recessed paper roll storage area.